Comfort House Personalized 6x10 Vertical Address Plaque - - features diagonal numbers. 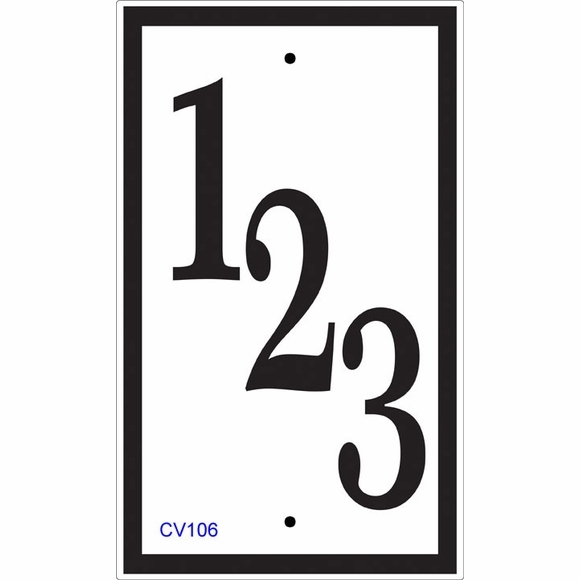 Custom made narrow house number sign holds up to three 3.5" high numbers. Made in USA. Customized with the color and numbers you specify. This vertical sign also comes in two larger sizes (see Related Products). Personalized Vertical Address Plaque features diagonal numbers. Fits into narrow spaces. Made from sturdy and UV-stabilized laminated acrylic with engraved personalization. Custom made for you in USA.